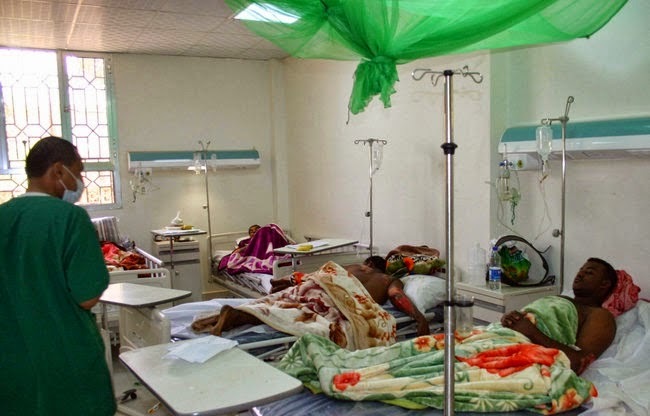 "Even basic cases such as giving birth can be deadly in Yemen. It is unbelievable for example that eight women die giving birth every day. Most people have to travel quite a distance to get to a clinic or hospital. When they do, it is often extremely expensive. With no health insurance, if a life threatening disease infects someone, or an accident occurs, people have to either borrow money to pay for the expenses, or accept the harsh reality that they can not afford the treatment and therefore must wait to die.... " - Atiaf Alwazeer.